There was an interesting article about chronic pain in the Chicago Sun Times last week (thank you for sharing it Deena Lotridge) about professional football players dealing with medication-resistant neuropathy. Essentially, they face the same frustrating scenario that any patient with injury or disease–related chronic pain faces ─ often, the prescribed opiates and strong painkillers just don’t work. And their negative side effects, such as blurred thinking, low energy, depression, social isolation and the expense, far outweighs any short-term benefits. While we appreciate these articles focusing on the healthcare crisis of pain and narcotic use, they always seem to fall short when it comes to specifically outlining the newer and proven alternative solutions to treat pain. Meanwhile, right here in New Jersey, we are successfully using Calmare scrambler therapy to treat a myriad of severe neuropathic conditions for patients who were close to giving up ever finding pain relief. 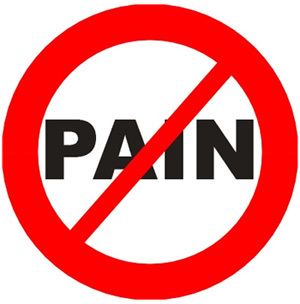 Without media attention on drug-free, alternative treatments for severe neuropathic pain, patients and families have no idea we can help them regain their lives and get back to enjoying life again.